The truth about our family and coffee. I wish I could say our whole family drinks excellent coffee and enjoys it in its purest form. However…. 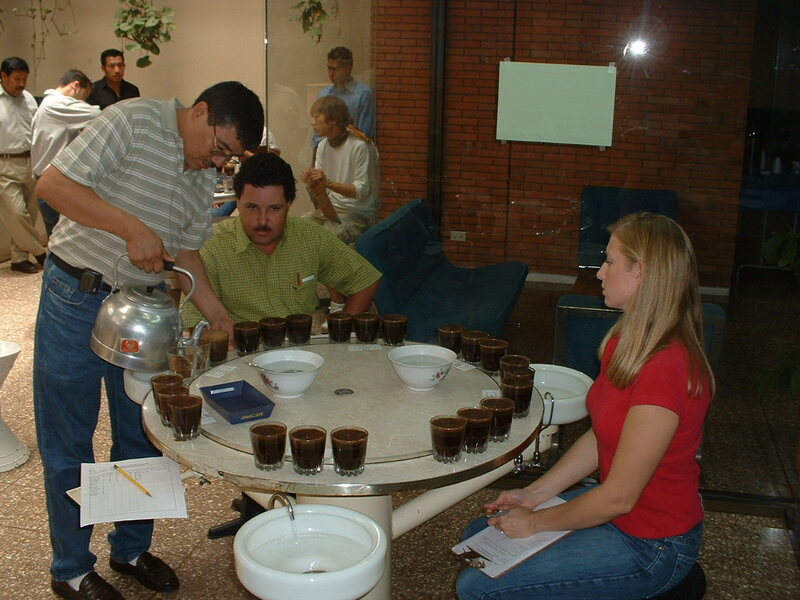 although my wife is truly an Ace when it comes to blind cupping and identifying defects, she has probably never consumed a pound of coffee in her life. In her words “it all tastes like dirt”. No comment on my part. She is a better cupper than I am. Nonetheless she has been tremendously supportive and is a vital part of getting the bean from our farm to your door. If I could only get her to read this blog every once in a while my hits on this site would instantly double. The MASTER TASTER (i believe it was) for Jack Daniels last year stated that he never consumed any hard alcohol outside of his job in order to preserve his taste buds, to do his job well. I’m sure this is also Nina’s alibi. Evie, my mom is eager to learn all she can about coffee but has to have milk and sugar and my father Edwin Martinez – doesn’t drink coffee. He prefers tea. My grandfather grew up drinking a roasted mix of corn, defective coffee and other un-knowns as consuming just coffee was a luxury they couldn’t afford. This was common in Guate for his generation. But I’m confident if the coffee culture can be changed in New York, than the same can happen in Guatemala.